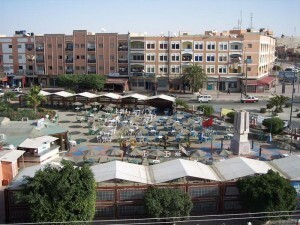 The rumors currently circulating in Laayoune, the capital of Western Sahara, about an imminent visit of King Mohammed VI to the city, have created an unprecedented panic in the Algeria-based headquarters of the Polisario, given the magnitude of this trip which would undoubtedly be an opportunity to unveil major projects for the region. The fear of the Polisario and Algerian leaders is all the greater that the King’s visit to Laayoune, scheduled for November 6, could signal the effective implementation of the regionalization project, according to an informed source in the Polisario headquarters in Tindouf. Regionalization that endows the different regions of Morocco with extensive powers under decentralized management is stipulated in the 2011 Constitution. Regionalization will be implemented throughout Morocco, including in Western Sahara. Expanded decentralization in the Sahara provinces would be the prelude to the launch of the autonomy plan proposed by Morocco to settle the Western Sahara issue poisoning its relations with neighboring Algeria. Morocco seeks, through the autonomy plan, to put an end to a conflict that has been lasting since 1975, the date of the liberation of the Sahara provinces from Spanish colonial occupation, claimed by Morocco since its independence. The Polisario’s other great anxiety is to see the Alawite monarch deliver his traditional speech of the Green March from the city of Laayoune, especially so that the king has, over the past few years, repeatedly and directly criticized Algeria for blocking the UN-sponsored negotiation process, the sources said. A fact confirmed on the ground. From the mere desert town abandoned by Spanish settlers, Laayoune, as an instance, became in a lapse of time not exceeding four decades a modern, well-structured city hosting over 200,000 inhabitants.